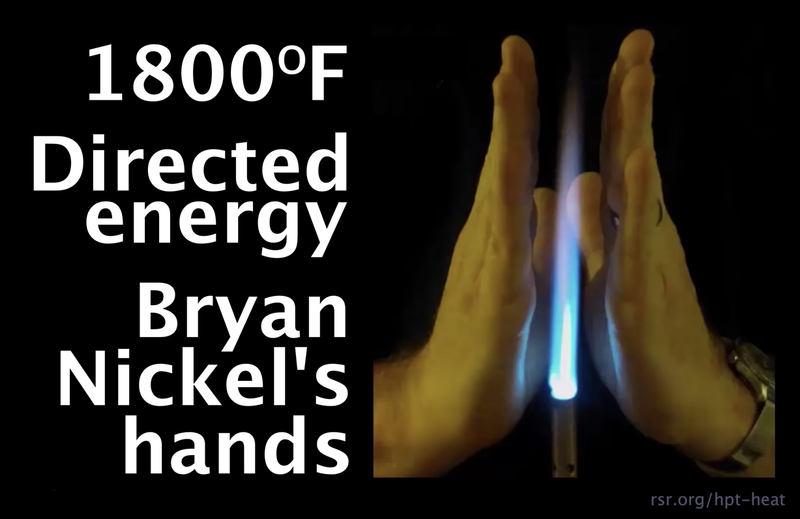 * The Missile Division Engineer and the Critics: Real Science Radio's Bob Enyart interviews Bryan Nickel, a mechanical engineer who's spent 18 years in the missile division of a U.S. aerospace firm, about the criticism that Dr. Walt Brown's Hydroplate Theory would bring catastrophic heat to the Earth's surface during the global flood. The guys address four critics, anti-creationists Glen Kuban and Tony Reed, and fellow young-earthers Danny Faulkner and John Baumgardner. * RSR to AIG, ICR, CMI, & CRS: ARD melts CPT. Really. The big four groups and their scientists who make up Walt Brown's leading creationist critics mostly support a competing flood model called Catastrophic Plate Tectonics. CPT has its own heat problem with advocates admitting that accelerated radioactive decay would melt the crust and appealing to a miracle as a solution for removing that heat. HPT, in contrast, observes physical processes that remove heat. * Bio: Dr. Walt Brown received his Ph.D. from the Massachusetts Institute of Technology's Heat Transfer division in their engineering department while working in MIT's heat transfer lab. * The Twenty Criticisms: See last week's list of 20 heat criticisms lodged claiming that the events described by Walt Brown's Hydroplate Theory would boil the oceans, cook the atmosphere, and melt the crust. * The Dozen Physics Observations: Bryan and Bob last week then reviewed a list of a 12 physics factors that address the 20 criticisms and on today's program they begin applying those laws of physics beginning with the criticisms that the HPT theory events would overheat the atmosphere. For example, evaluating the heat transfer of the HPT, includes recognizing that a rapidly expanding fluid (liquid, gas, or supercritical water) cools extremely rapidly. On today's program the guys also note the behavior of directed energy and the significance of boundary conditions. Later in this series, they will address that nuclear fusion (a process involved in understanding the origin of Earth's radioactivity) is adiabatic (i.e., heat neutral) when looked at from the perspective of fusing the periodic table's lighter and heavier elements (in the general proportions that they are found in Earth's crust). 3) You'd like to give the gift of understanding creation and the flood to someone who could really benefit from it. If you discuss the Hydroplate theory, suddenly everyone is an expert on thermodynamics.